Folds compactly for ease of carrying. 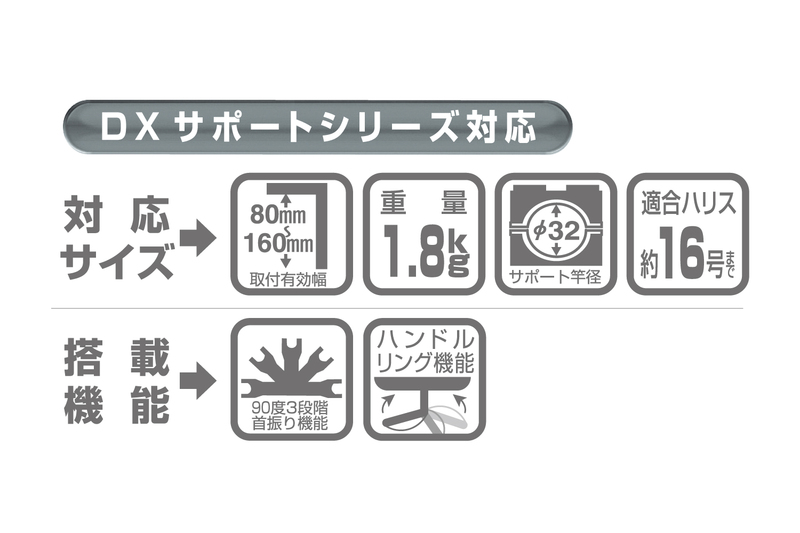 A lightweight and compact product responding to gigantic fish. Light and strong carbon body. A new mechanism that makes the rod holder to swing to the right and left by 90 degrees. This makes it possible to secure the position of the rod holder at 45 degrees and makes flexible direction support to avoid entanglement in narrow places. Detached or attached in a timely manner with the fingertips holding the rod. Just press fit the support. Jerking back and forth and swings left and right, thus quickly responding to draw the rig. ● Supporting rod size: 32 mm dia. max. 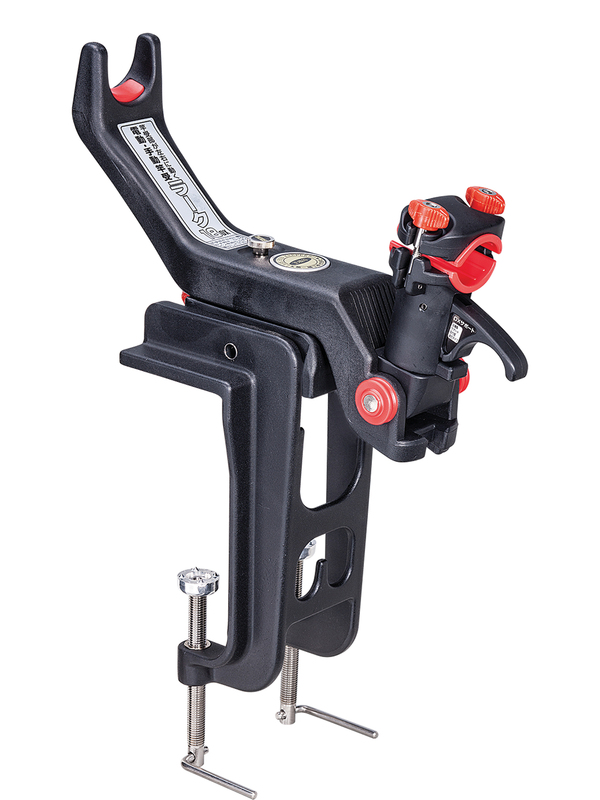 This makes it possible to secure the position of the rod holder at 45 degrees and makes flexible direction support to avoid entanglement in narrow places. 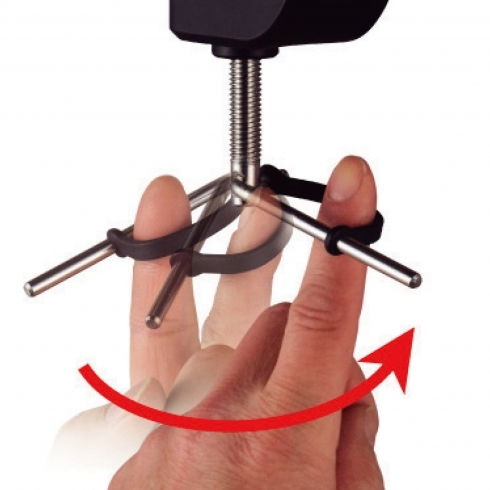 Mount the product to the L-shaped handle of the clamp screw and turn the clamp screw with fingertips so that the product can be attached to or detached from the boat side in a speedy manner. The photo shows the Lark 16 DX. 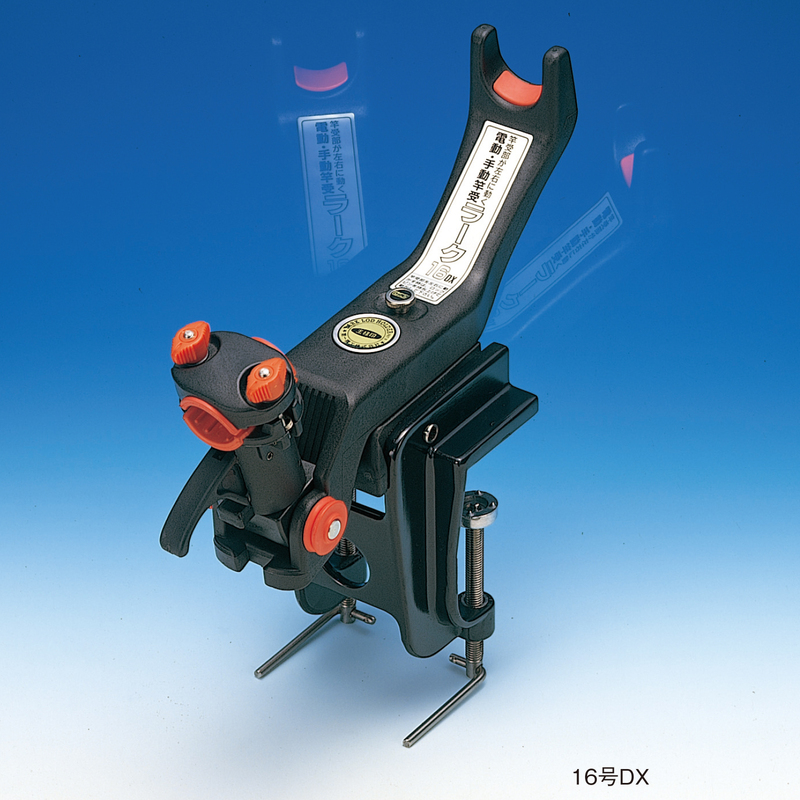 The Lark 18DX incorporates a large-sized clamp with a mounting width of 160 mm. Drag the mouse sideways on the image to rotate the image. I have an old Lark-series product. Can I fit a currently available Support-series product to it? 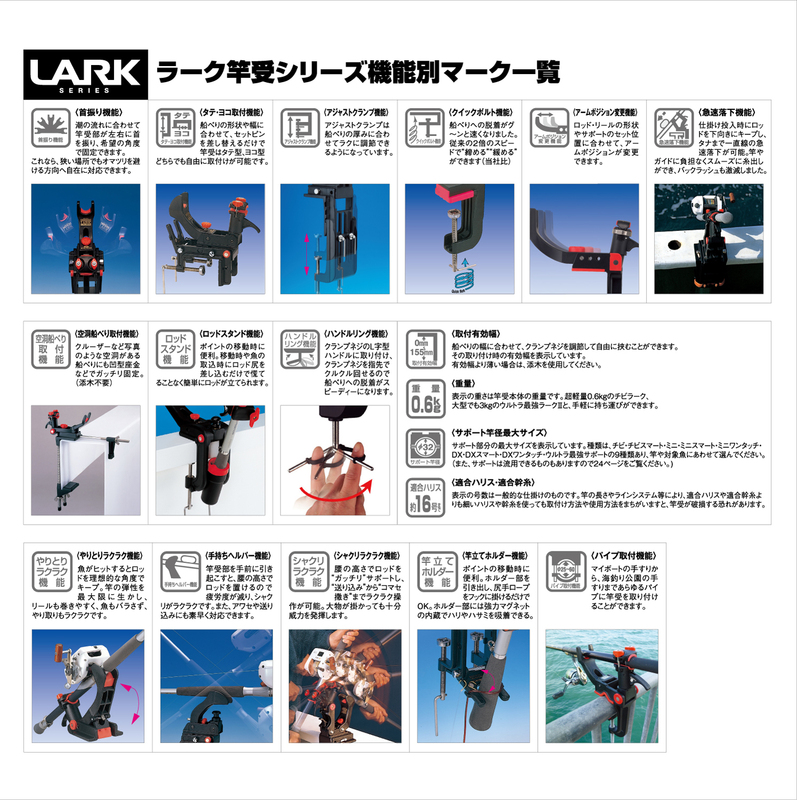 Are the Rod Holders of all Lark-series products compatible with the Rod Holders (boat side base-mounting type) of Lark 900, 1700, 1800, 2000, 2200, and 2500? Is each Support compatible with Lark products? Tell me the distance between the Rod Holder in the front of the Lark Saouke and the Support. Tell me the withstanding load of the Lark Rod Holder.